Defense Minister Liberman presents new data on Syrian/Lebanese theater in briefing to Knesset Foreign Affairs and Defense Committee. 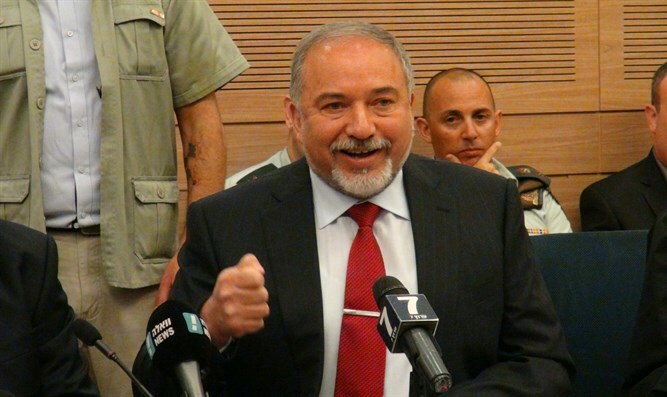 The Knesset Foreign Affairs and Defense Committee heard today (Monday) a briefing from the Defense Minister, Avigdor Lieberman. Liberman discussed events in the ​​Lebanese theater of operations, saying, "We have seen and heard in recent days a series of hostile declarations from senior Lebanese officials, and last Saturday there was even an attempted provocation on our northern border. Two weeks ago we heard the President of Lebanon, Michel Aoun, declare that the State of Lebanon, the Lebanese army, and Hezbollah are all one system directed against Israel. We also heard Hezbollah's Secretary General, Hassan Nasrallah threaten Israel, and as I mentioned we saw the rally organized by Hezbollah reach Israel's border without Lebanese security forces preventing it. "These things make it clear that today the Lebanese army is a subsidiary unit of Hezbollah and Michel Aoun is another Nasrallah operative. So what should be obvious to everyone is that for us the Lebanese army infrastructure and the Lebanese state and Hezbollah's infrastructure are one," Lieberman declared. He also noted that "the most worrisome trend, both in Lebanon and in Gaza, is the smuggling of strategic ordnance from Syria to Lebanon and balance-breaking weapons production, mostly accurate missiles, unmanned aircraft, and other means in Lebanon and Gaza. All are performed with Iranian technology, training, and funding." In connection with Iran and the Palestinians, the Minister told committee members that at the Munich conference which he recently attended, the Saudi Foreign Minister was heard speaking openly and firmly against the Iranians yet on the other hand, no representative raised the Palestinian issue at his own initiative.